The Judean Hammer: Hasbara or Halacha? The rabbinate can go piss up a rope, you are as Jewish as anyone I know. the rabbinate is corrupt and doesn't follow Torah values the way I have come to understand them from speaking with a lot of Jewish people, they are more concerned with worldly power than actually making Jewish life better. I don't believe the rabbinate has more Torah wisdom than most Israelis I know. 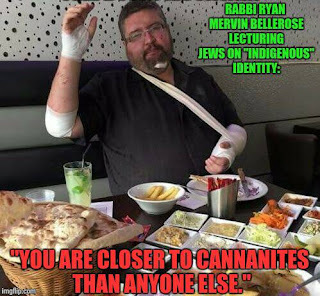 The nerve of this ignoramus to lecture Jews on Halacha and identity. The fact that this woman is not Jewish is basic, normative Halacha, that has been codified from time immemorial. Matriarchal definition as a necessity for halachic staus as a Jew has NOTHING to do with the Rabbinate and everything to do with Torah. Ryan Bellerose works for Bnai Brith Canada. What do they make of this issue? Do they have a problem with Bellerose telling the Israeli Rabbinate to take a piss up a rope? Contact them and demand that they terminate this clown’s employment from their joke of an organization. What about Hasbara outlets such as StandWithUs, IsraellyCool, and Israel National News? Are they going to continue giving this crude fool a forum for his filth? Contact them and demand that they cut all ties with this horrible person or suffer the consequence of ignoring him. And what about all those "new peace activists" who share one version ore another of Ryan's fixation on the nonsensical "indigenous rights" argument? People like Yehudah Hakohen of LAVI and Alternative Action? Are they going to give Bellerose a pass? 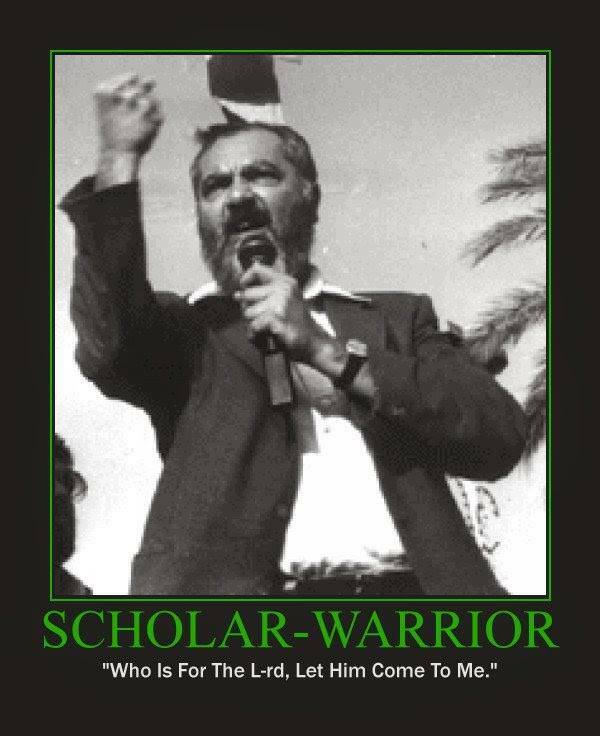 Their beloved Rav Kook (of blessed memory) was part of the Rabbinate. 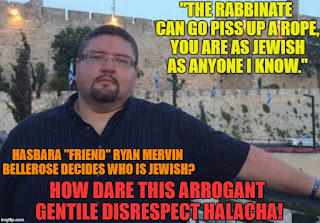 And Ryan the arrogant gentile just spat upon Torah and Halacha and the institution of Rabbanim. And for this alone, this repugnant man-child needs to be shown the door. The time is long over-due. 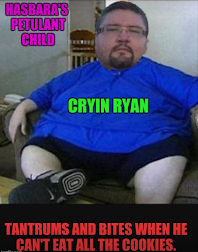 Ryan is no Jew. 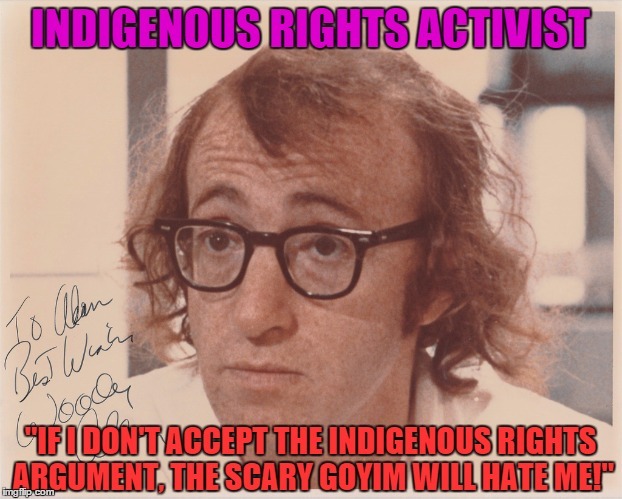 He has nothing to say on Jewish matters or identity. Her should try to figure out who the hell he is himself. With such disrespect for Torah and Jews, he is proving once again that he isn't even a decent gentile. Just a loud-mouthed, angry, man-child who doesn't even speak on behalf of his own people.